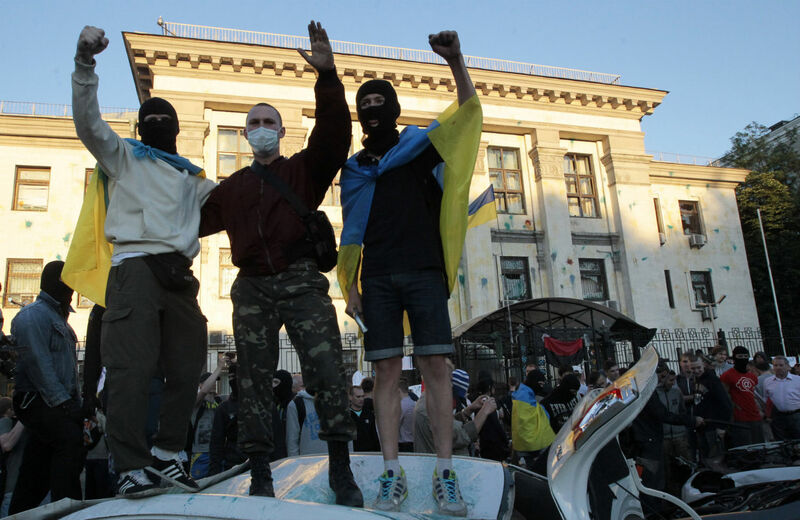 Nation contributing editor Stephen Cohen appeared on The John Batcheler Show to discuss recent eruptions of violence in Ukraine. On The John Batchelor Show, Russian historian and Nation contributing editor Stephen Cohen discussed two recent and unsettling events in Ukraine: a spontaneous gas pipeline explosion in central Ukraine and a Ukrainian-led civilian assault on the Russian embassy. Because the explosion, argues Cohen, would benefit neither the Russian government nor the Kiev government, Cohen predicted that “extreme ultranationalists” are responsible. “Assuming it wasn’t an accident,” Cohen says, “I would have to say it was one of these groups.” Later in the show, Cohen critiqued the mob attack on the Russian embassy, where cars where overturned, windows smashed and the Russian flag torn in two. Asserting that all embassies are entitled to full safety and sanctuary, Cohen voiced extreme disappointment that neither the Kiev government nor any other Western states had issued a strong disapproval of this attack.